A trophy fit to reward your ten pin bowling stars! 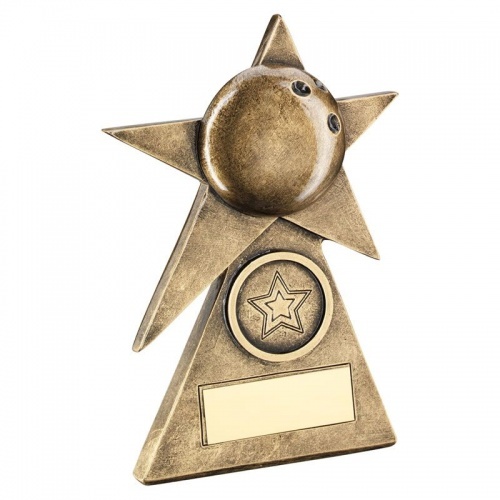 Crafted in durable resin with a stylish antique bronze colour finish, these awards feature a star shape with bowling ball motif and include a 1in bowls theme centre. Standing 6in (152mm) tall, the front of the freestanding award features an engraving plaque and we offer text and/or logo engraving options.